Jewish Family and Children’s Service of Greater Philadelphia provides a safe, welcoming and inclusive environment for members of the LGBTQ community throughout your life. We have created a place where Judaism, sexual orientation, gender identity and expression can intersect to be embraced, affirmed and celebrated. When someone is exploring sexual orientation or gender identity, the experience can be liberating, empowering, and at the same time it can sometimes be frightening. Some of those difficult feelings can range from isolation, confusion and anxiety to depression and loneliness. But you’re not alone; others have taken the same path and found acceptance and peace. JFCS can help you find that path. We offer Sensitivity Training for Affirming and Respectful Spaces (STARS), an LGBTQ sensitivity training program, to synagogues, schools and other community-based organizations. Our Speakers Bureau trains individuals (LGBTQ youth, parents, students, Jewish professionals/leaders/clergy, teachers and community members) to participate on panel discussions at schools, congregations and community-based organizations where they can share personal stories and address the unique issues and challenges faced by the LGBTQ community. Jewish Family and Children’s Service of Greater Philadelphia works each day to help strengthen the lives of those in our community. We do this through outreach to individuals as well as to organizations. 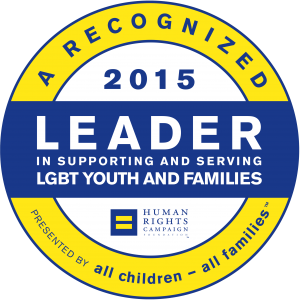 Click here to learn about our LGBTQ training and coaching services. The J.Proud Jewish Philly LGBTQ Consortium works together to raise awareness, educate, and advocate for the diverse needs of the Jewish LGBTQ community while building relationships with allies in the Philadelphia area. 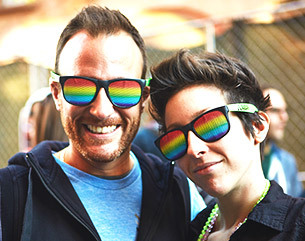 We also organize and promote community and cultural events that offer LGBTQ Jews, their families and friends, opportunities to socialize, gain support and build community. Events are designed to help participants celebrate the intersection of their LGBTQ and Jewish identities.